Book pulping. Is it a) a new a Tarintino film; b) a fist-fight at a literary festival; or is it c) the shredding of books from a library. Well, this week, Manchester Central Library has found itself in a pulping mess after – in an open letter to the Head Librarian (you can read it here) – a host of eminent literary names called for a halt to the destruction of thousands of library books from the vaults of the long-standing library. 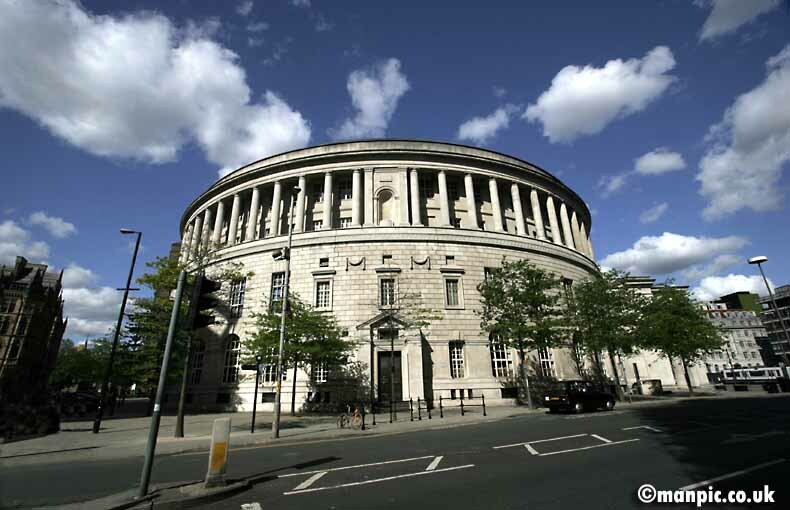 Manchester Central Library – but where are the books? have this predicament. The more books they have, the more space to store them becomes an issue – it is a problem the New York Central Library is experiencing right now in their own renovations process. In this age of the digital book, there is a clear argument that the use of books via such media can provide constant access to literature resources whilst saving valuable space and money. This I agree with in many ways. But to destroy old books, just like that, with no consultation with the public who use them and in many ways you could argue own them? That’s wrong. Would artifacts be destroyed from a museum? Or Royal documents or jewels be scrapped? Of course not – so why these books? The Manchester Central Library was built in the Great Depression as a symbol of hope, its vast circular inscription reading “exalt wisdom and she shall promote thee”. Maybe, before they destroy any more books, the powers that be should stop and read that inscription for a second. At least it’s one set of words that can’t be pulped – I hear stone’s is hell to pick out of a shredder. What do you think? Should books be pulped or kept? Diary of a hopeful author: My book’s soon out in paperback..! My book is going into print! A paperback! This is not quite what it seems but to me, this week, it might as well be everything. ‘Your dark circles are getting bigger, mum,’ says my youngest. I give her a hug and sigh. ‘Sweetie, when you get to my age everything gets bigger – and it’s not my favourite thing.’ She narrows her eyes at me. ‘I want to get bigger.’ I smile. ‘I know you do. And that’s good! You are growing. A big girl!’ I think of my dark circles. ‘Not quite the same for mum, I’m afraid, love.’ She looks at me then announces she’s going to play with her Lego. I make a coffee, and, as the rain slams against the window (who knew this was July?) I think of the past few days and, namely, my growing obsession with Amazon’s Create Space. Yup, I’ve been on Create Space. If you don’t know it, but it’s a new venture, if you will, by Amazon, and it allows self-published authors to create print-on-demand books of their own, well, books. It means that every time someone orders your paperback book, they print it off -there are no reserved stocks or need for reprint. 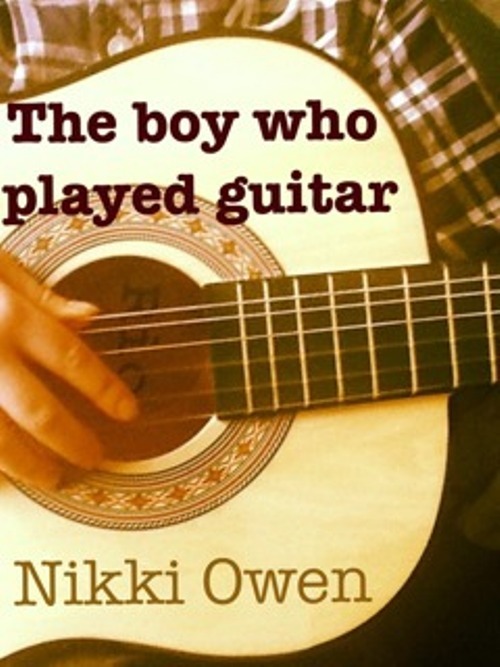 So, for example, take my novel, The Boy Who Played Guitar – I can now stick it on create Space, get it all set up and ta-da! One book in print and, get this – in my hands! I know! I shake just at the mere thought. Having your own book, printed in your hands is well, like every hopeful author’s dream. What they don’t tell you though is that dream will consist of days of frowning, formatting and some occasional swearing. ‘Are you still on there?’ asks my hubbie as I frown away at the laptop, the Create Space website open. ‘If I. Could just. Understand how to. Format….Ah! There’s some information!’ I tap away at a ‘how to’ guide on formatting your book ready for printing to Create Space. My hubbie tuts.’You’re mad – lovely – but mad.’ I scratch my head and my hair sticks up – I fear he is right. The good thing about mad though is that it gets things done. My obsession with Create Space has now produced a book waiting to be printed. My book. Mine! Oh God, I feel sick. If you fancy going down this route with your book too, a top tip – download their word template which has all the formatting built in and then insert your book into it. I didn’t realise you could do this at first and it took me ages to sort out, I mean ages – I didn’t wash for 2 days and the discarded mug mountain next to my computer could have qualified for an art installation. The new cover – what d’you think? 300 pixels – this is opposed to ‘pixies’, as my daughter read it. Not the same thing. Although, nice mental image…) This means that, sadly, I have had to change my book cover. I’ve stuck it on this post – see what you think compared to the old one. Let me know what you reckon to the new one. I swear I took at least two hours deliberating what to do about the cover. I know, daft, but it’s things like this you end up obsessing over, because, once it’s done and out there, it’s really hard to turn back. After the cover was done, I switched to pricing and, drum roll, royalties. Before you get excited, let me tell you something – the royalties are tiny. Tiny! The minimum price you can charge for your book on Create Space is £5.30, which, is reasonable, but earns you peanuts. I opted for a steady £5.99, which equates to $7.99. This earns me a small royalty per book. So why not just stick to Kindle editions, you may think? Well, the great, great thing about a digital download of your book is that it is cheaper for the reader (mine just £2.48) and the royalties are much higher for the author. But, there are still many people who either prefer or want a paper back (over 70% of global book sales are still print formats, even though digital sales are shooting up and print declining). 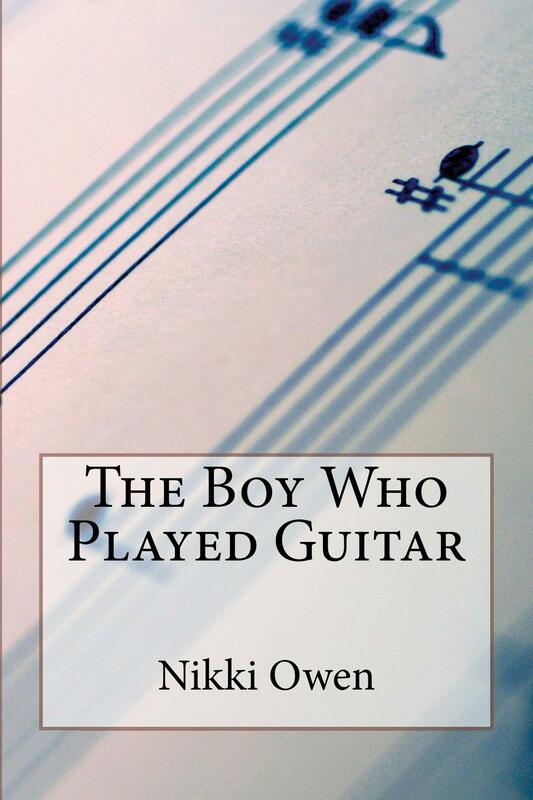 So, it means by making The Boy Who Played Guitar available in print format, I am tapping into 70% (run with me here) of the market that I couldn’t access before. Crikey, no wonder I’m cream crackered. Anyhoo, I can happily report that in the next few days you can buy a paperback of my book from Amazon. How cool is that? Mind you, if you see a sales increase it will probably be me and my very excited family and friends buying loads because we are, you know, very, um, excited. I really hope it works out. I’m off this week to do a blog tour, pushing The Boy Who Played Guitar to be reviewed, hoping to get it read by a wider audience. And then? Who knows? Maybe the whole thing will grow and get bigger. Just as long as my dark circles don’t expand some more. I think might go and buy some more concealer today. I need it. Nice to meet you, by the way. 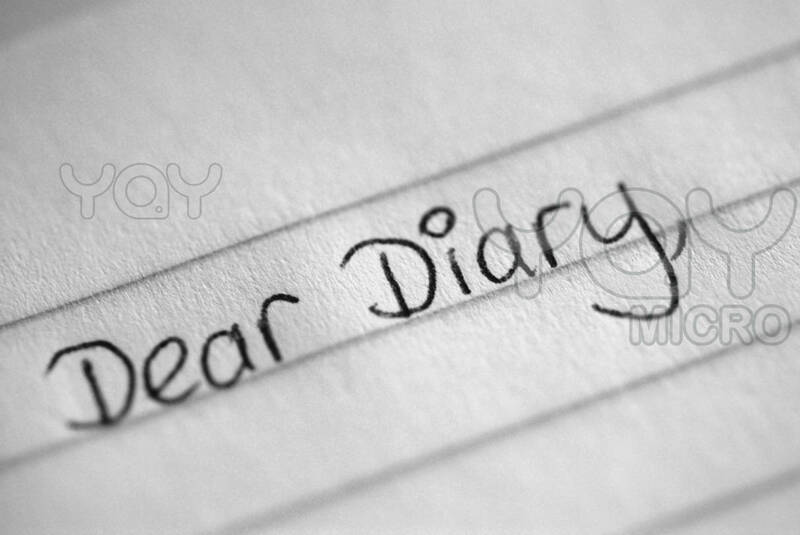 Diary of a hopeful author: I’ve finished writing my novel! I’ve finished writing my novel! Blimey, feels, quite weird typing that, but there you go, it’s true. This week, well, yesterday to be precise, I finally completed my second novel and the one thing above anything else that is on my mind as I type the last of the 90,000 words is, not ‘well done, me’, but: sweet God, my shoulders feel like breeze blocks. ‘Why do you sit like that?’ says my hubbie one morning walking past the study. I pause mid- typing and frown. ‘What d’you mean?’ He nods to my posture. ‘You are all Hunchback of Notre Dame there, honey. Sit up a little.’ He pops his toast back into his mouth and leaves. I check out my arms. Bent. I try to look at my back but this means craning my head and this hurts. Giving up, I shuffle in my seat and sit up straight, and for a couple of minutes all is well – and then I slide back down to my Quasimodo position. But, being on the final straight of writing the book, I do nothing about it, and so keep on typing. When it gets to the following day, I get up at 5 a.m, write for an hour, get the kids ready and to school, then resume writing until 12 noon. I type that fast that I think you can see smoke coming from my laptop (I say this figuratively, but actually, that’s only because I’m using my newer netbook – the old laptop actually did give off smoke, so…). When I finally type the last word, I slump back into my seat and stare at the screen. I cannot believe it. I am done! Six months of research, character development, long, hard outline planning (not my favourite part, but, unfortunately vital to do), learning criminal law ins and out, and then actually writing it. Nope, cannot believe it. It’s a bit like travelling around the world and then getting to your final destination and realising that this is it, you have to go home now. I blink at the screen and, shutting it down, wonder how I can celebrate this little achievement. Shall I go for a run? Have some chocolate? Watch a film? Oh no. I do none of these things. I finish my 90,000 word novel – and then go and hang the washing out on the line. It is a sunny day, and, give it’s been tipping it down the past week, it’s a chance to get the clothes dry and it really is a lovely day for the washing to dry. Who said writing books wasn’t life on the edge, hey? As I hang out the washing, I think about the novel and what I have to do next, namely The Edit. A lot of writers aren’t so keen on editing, but me, I love it. What’s not to like? You have a page that is full of words and that has to be better than a blank page staring back at you, the computer curser winking at you reminding you that you still. Haven’t . Written. Anything. The great thing this time round is that I have had two people reading my book as I write it – namely my mum and her friend. And I have to say it has been the best move ever. It’s meant that they have kept an eye on things such as pace and consistency for me, which, when you are writing chapter after chapter is vital because things tend to blur and you are so close to the plotline that the words begin to merge together (this did actually happen one day, the words merging together. I had to stop typing and stand back, blinking. I was concerned I’d wrecked my eyes until it turned out there was a bit of sleep on my contact lense…). That evening, washing back in and dry (living on the edge right there! ), I call my friend and we meet for a cycle and walk as it’s a lovely sunny evening – plus she wants to feed me a glass of wine for finishing the book, so, you know, I couldn’t say no. We say ‘cheers’ and taking big gulps (we had walked 4 miles…) She asks me what sort of book it is. I pause. ‘Do you know what, I think I may have written a thriller.’ She swigs her wine. ‘Really?’ I nod. I know it’s daft, but even though that’s the sort of book it must be – a thriller, drama type thing (it’s set in a prison with a Spanish doctor as the new convict) I’ve never actually acknowledged it. But d’you know, I’ve loved writing it. Turns out, I quite like this plot twist and turn thing. My friend holds up her glass. ‘Here’s to your thriller then,’ she says. ‘Well done, mate.’ ‘Cheers,’ I say, and we drink (down) our wine. That night, I get ready for bed and chat to my hubbie. ‘So are you pleased it’s all finished?’ he asks. I nod and brush my hair. ‘Yup. Just the edit now and I can get it sent off.’ He smiles. ‘Cool.’ I nod and reach up to scratch my back. ‘Aaargh!’ My face scrunches to a grimace. ‘What is it?’ asks my hubbie. I edge to the bed and sit. ‘My shoulder. It’s locked.’ He comes over and tuts. ‘I told you you were sitting at that laptop funny.’ I sigh. ‘Like the Hunchback of Notre Dame, you said.’ He rolls his eyes and rubs my shoulder. I wince. I have turned into Quasimodo. A Quasimodo with a second novel. Are you in the middle of writing your novel? Do you use the 8-point arc or want to know more about it? Let me know. Okay so, I have to be quick. The reason is WordPress, or, more specificall – much like the Euro, Greece or Saturday night T – it’s on the blink. I’m not sure what the problem is (WordPress server). At any moment, my whole post could crash (WordPress server), so while I can’t waffle on like usual (is that a hoorah I hear? You at the back? ), I can let you know what’s been a goin’ on – and that is mainly to do with my new novel. It’s been a long hard journey but I can now finally see the end to the 85,000 words I have written on it. I don’t have a title for it yet, but I just have three chapters to go, which would have been finished by now had I not a) taken some time off over school half term, b) had to rework the outline for the ending and c) just couldn’t be bothered. You know when you’ve been working hard and you can see the finish line but you just want to stop a while, catch your breath, maybe sip a drink? Well that’s what it’s been like. It does feel great being nearly finished, mind, like blinking at the sun after a long, cold winter. ‘It’s only 6 weeks until our summer holidays!’ screeches my hubbie. 6 weeks? 6 weeks to write the last 3 chapters,get the first edit done, get it read my my trusty reading buddies, the re-edit again. Hmmm. Like solving Greece’s debt crisis, that may be a tall order.